Burra Community School has become an agriculture focused school, and the local community is getting behind agriculture education in Burra. Princess Royal Station are proud to support the Agricultural Program of the Burra Community School in a variety of ways. These young students are the future of agriculture in Australia, and we believe the program is a vital to learning and and gaining experience in the vast industry of agriculture. 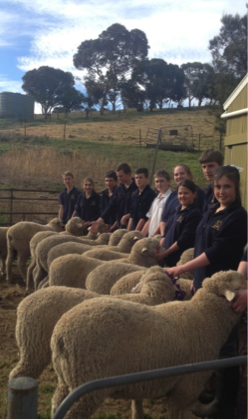 The school is teaching agriculture from R-12, with Certificate II in Agriculture delivered on-site in years 10 and 11. With a balance of practical assessment and theory tasks, this program gives students the opportunity to gain industry knowledge with the use of real-life data from the Princess Royal feedlot. They will use this data to write their major investigation assignment, which is worth 30% of their grade. Students choose what they would like to investigate using the initial data they collect, then follow a specific pen of cattle for 110 days and evaluate their results. This opportunity is unique to the Burra Community School and has proven to be very successful, with all students getting lifted a mark band for their investigations last year. 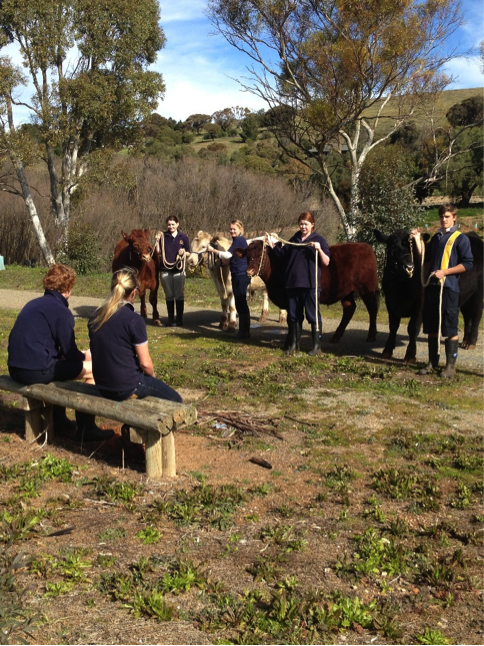 Middle school classes help Princess Royal Station with silage production each year, during which students learn how silage is produced and stored for the use in the feedlot. A lot of fun is had working out at the silage pits, with tyre stacking competitions and making animals out of tyres. Our agriculture program gives students the opportunity to have direct input with the running of the school farm (cropping, grazing and sheep), with help from local farmers and industry experts. Students get to help with shearing, when they learn about wool quality and handling, and they even have the opportunity to have a go on a hand piece if they wish. 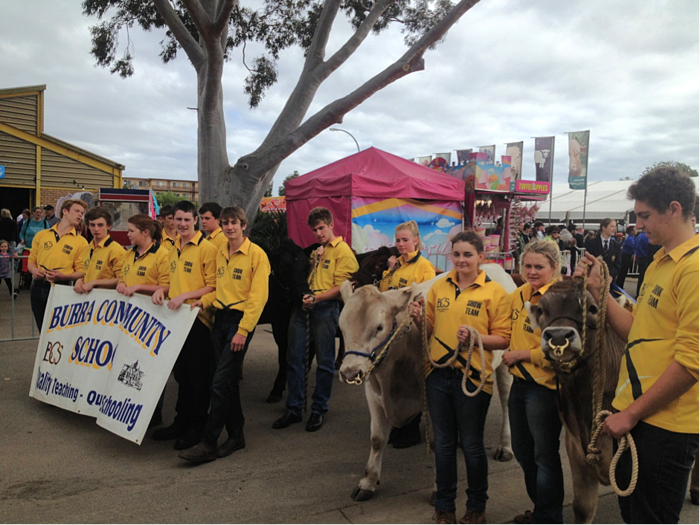 Burra Community School takes part in the Adelaide Show each year with 6 steers, two pens of Merino Wethers, and Angora Goats. 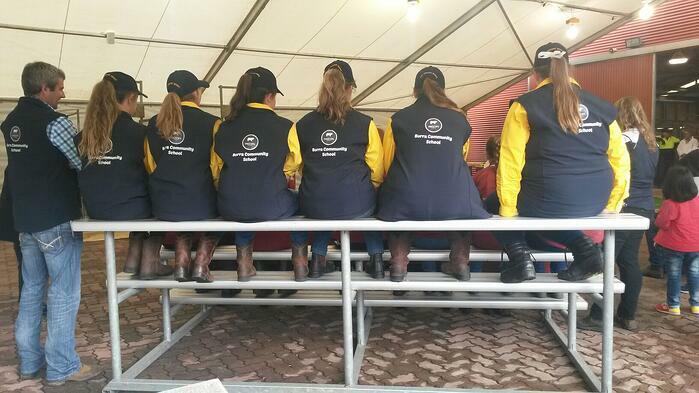 Twenty-five students work with the show team each year, getting hands-on experience with animal husbandry, animal nutrition and overall show animal training. 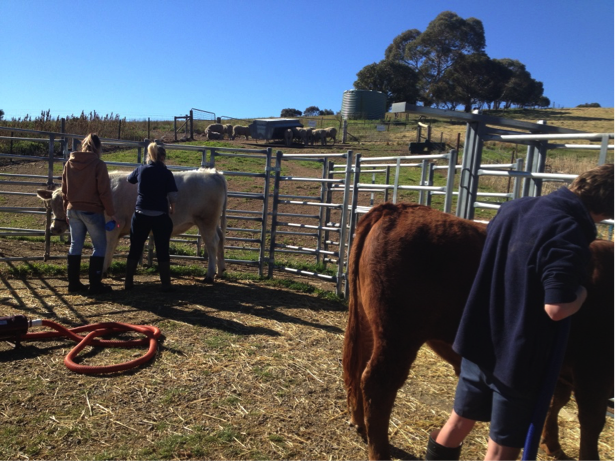 Students work with the animals from when they arrive at the school unbroken, right up until the show in September. It has proven to be a very successful program, with students growing in confidence each time they work with their animals. The students learn a lot about the animal they are working with, and how to monitor weight gain and nutritional requirements. 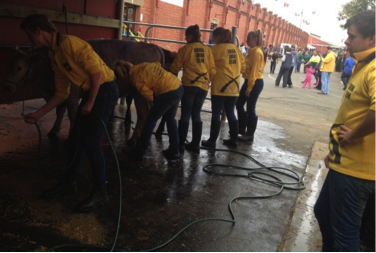 Although it is expensive with the cost of purchasing and feeding the animals for an average 150 days, The Royal Adelaide Show offers a priceless opportunity for local students to become more involved in agriculture. To that end, Princess Royal and the local community are happy to contribute towards this and other events to ensure our students are able to keep participating in The Royal Adelaide Show. We are also hoping to see the Princess Royal Study Assistance Scholarship up and running in 2016, which will be awarded to a student who wishes to continue their education in agriculture.